When it gets dark, do you light up? Then this leading-edge collection just might be your fave. 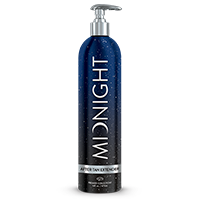 Apply this luxurious, lightweight blend before tanning for deeper color and silky smooth skin. Natural bronzers give you an instant radiance, while a lightweight blend of moisturizers evens skin tone. Don't be afraid of the dark. 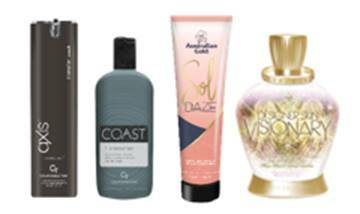 Get a decadently deep tan with this potent 60X bronzing blend. 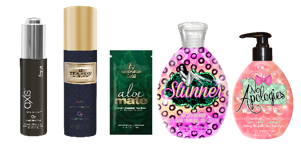 Keep your tan going without it ever seeing the light of day (if that's your thing). Living up to its name, this collection is a sunbed best-seller—mainly because it isn’t just great tanning, it’s also exceptional skincare. The line’s exclusive micro-nutrient skin perfecting complex (science, amirite?) 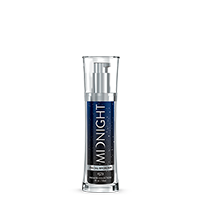 reduces fine lines and improves tone for a youthful, all-over radiance. Prep skin for deep, dark color with an enriched blend of melanin-activating peptides. Lightweight dark tanning crème + age-defying complex = sheer perfection. Instantly dark color that continues to deepen after UV exposure. 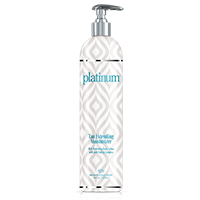 Rich, hydrating body lotion boosts the natural tanning process to help maintain your tan longer.